Please read through all of our terms & conditions, if there is anything which you do not understand or are concerned about please ring us and we will be happy to discuss the details with you. All bookings are accepted in good faith and as entering into a verbal contract (agreed contract), confirmation bookings can be issued along with written terms and conditions if required. A small MAN with a big VAN will do their best to arrive at the times quoted, however arrival times are estimated. Delays are sometimes unavoidable (due to traffic accidents, weather, job overrun etc). We will contact you if our men are going to be early/late via the contact number you provided at the time of booking. Payment terms are cash on completion of the job, unless pre arranged through the office on 01260 274475. If agreed, bank transfers must be cleared before our men can leave the delivery address. Cheques will incur a 5% bank surcharge. Our standard costs can be found on our ‘prices’ page or by calling the office. 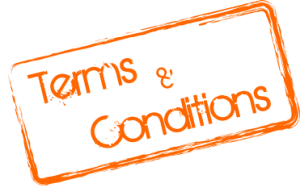 Currently we do not ask for a deposit on booking but please view our cancellation terms below. We estimate the time and charges based on information received, extra charges may be incurred if the actual amount on the day exceeds the amount of items which were included in your quote, a couple of boxes more would not normally cause an issue, however if you have under-estimated your items by more than this our men will charge you our normal hourly rate (check pricing details). If you have grossly under-estimated or have been misleading about the amount, size or type of items you have, we may not have time to move all of your belongings due to the time scale allocated at time of booking. We supply a 2 man team to do the loading/unloading for you and they will put items into the room of your choice if required. Standard terms do not include packing or unpacking boxes of items but this can be prearranged with the office. It is the customer’s responsibility to dismantle any unit/system/flat pack furniture and beds and this should be done before our arrival (unless dismantling is pre-arranged with us). It is the customer’s responsibility to ensure that items will fit in the new premises (e.g. : size of sofa, beds, items going upstairs etc) our men will not remove doors or windows in such cases and it is up to the customer to organise a specialist if required. Providing adequate parking is the responsibility of the customer, if there are restrictions e.g. : yellow lines, red routes, residents only etc you must provide a permit from the local council, if this is not possible please be honest and say where the closest legal parking is available e.g. : 50 yards, 100 yards etc. This may cost a little more but it is much better for you and our men if it is know in advance, if parking is legal try to reserve a space for the van outside the premises before it arrives. If there is no parking pre -arranged any parking fines which are received will be the responsibility of the customer and must be paid by the customer on completion, however our men will not knowingly park illegally. If your driveway is unable to take the weight of our vehicle please advise us accordingly, particularly with regard to drain covers beneath gravel covered driveways etc. When you give permission for us to drive onto your driveway, it is on the understanding that this is at your own risk. Failure to advise or notify us of any potential weaknesses will absolve us from any claims for compensation resulting from damage to said driveway. Waiting time will be charged at our normal hourly rate (check pricing details). Waiting time includes; key collection, contract signing, late arrival of the customer, items not ready to load, customer not present at either end or any time when loading/unloading is not taking place or any other delays. If you require us to move your garden items and pots and plants, there may be a cleaning charge of £20 unless sheeting can be provided by the customer. Due to the dirt and the mess we will not use our removal sheets as these are required for household items. If you cancel within the final 7 days of the booking date you will be charged 50% of the confirmed quote, if no quotation was given you will be charged based on the hourly rate and the length the job was estimated and booked in for. If you cancel within 48 hours of the date of the job you will be charged the value of the job in full. Verbal or threatening behaviour will not be tolerated. If our men are forced to leave the job because of abuse from the customer verbal or otherwise the customer will still be liable to pay in full.